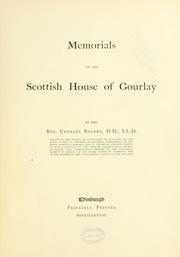 2 editions of Memorials of the Scottish House of Gourlay found in the catalog. Add another edition? 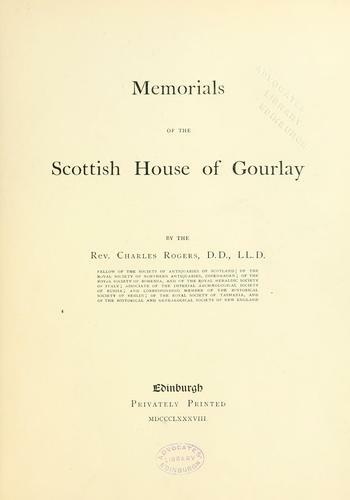 Are you sure you want to remove Memorials of the Scottish House of Gourlay from your list? Published 1888 by Privately printed in Edinburgh . One of an edition of 60 copies. December 29, 2013 Edited by Gail Diane Moore No changes; would like to purchase copy.